Cold weather, particularly frost, causes severe damage to plants even hardy plants and evergreens can be damaged by prolonged spells of cold. When soil becomes frozen roots are unable to take up water and plants can die from lack of moisture. Periods of cold, frosty weather during April and May can also kill blossom and damage fruit. Using some form of crop protection enables you to keep your garden and kitchen garden crops protected almost all year round thanks to the variety of coverings; choose from plant insulating fleece for winter protection, polythene for early and late season growing and warmth and bird netting for keeping birds off ripening summer fruit. 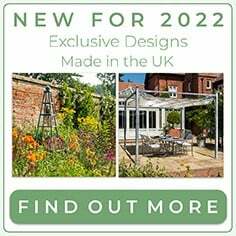 Adding a greenhouse to your general garden set-up really does open up a raft of horticultural opportunities; you'll create a safe, frost free haven for tender perennials and seed sowing can begin in earnest weeks ahead of outdoor sowing. A Lean-To Greenhouse or Mini Greenhouse can provide additional growing space if you do not want to go for a full a greenhouse or are limited by space. Cloches are a famliar sight in most vegetable patches, from simple willow or bamboo cloches to elaborate glass bell jars, they all serve a similar purpose to protect from extreme weather and help to raise soil temperature extending growing seasons. They can also protect plants from some pest attacks. 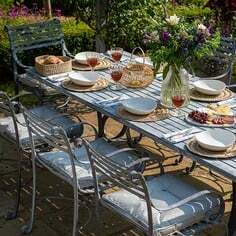 Whatever you are looking for there is bound to be a sloution in our range of garden cloches. 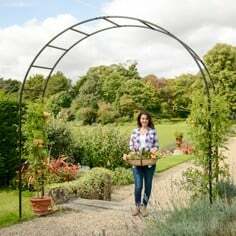 Cloche tunnels are also very popular and can protect a few plants or even a whole row. They offer the same great protection as a single cloche and are available in a number of different materials for different times of year and conditions. The tunnels can come in fleece for frost protection, polythene for added warmth, net to protect from birds and other pests and insect mesh to protect even against small pests. 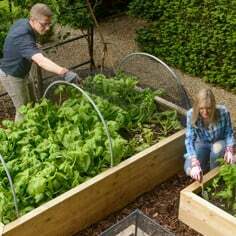 Cold Frames provide the ideal environment for growing, hardening off and protecting young plants against harsh weather, perfect for extending the growing season. 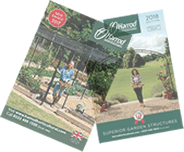 Available in various styles and sizes including Aluminium Cold Frames ideal to fit over a raised bed, Lean to Cold Frames, Hardwood Cold Frames and a Hardwood Plant House, there really is a solution for any situation. The ever-increasing amount of tender plants on offer may not withstand sustained cold without some form of protection. Protecting plants from the effects of cold depends on the type of plants and the situation they are growing in. Tender bulbs, corms and tender, herbaceous plants (that die back) should be covered with a thick mulch of manure, straw or old leaves to prevent the soil from freezing. 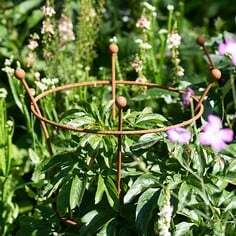 In the spring, new shoots can be protected with a loose layer of straw, Strulch Garden Mulch or a bell-cloche. Plants that are trained against walls or tender plants growing in the open ground can be protected with simple, fleece-covered frames. Tender plants should be grown in pots so that they can be moved inside during bad weather or covered with Pot Jackets for protection. Cordylines and palms should be treated similarly, by tying their leaves into bunches, to protect their crowns. Protect low-growing plants from wet weather by covering them with a cloche and surrounding them with a layer of gravel or grit, to ensure swift drainage. 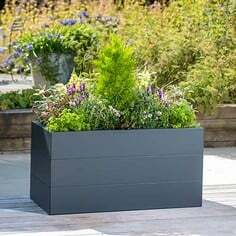 Choose outdoor containers that are frost-proof to prevent them cracking. Lift pots and containers into a shed or greenhouse for protection. Those that can't be moved should be placed on pot feet to prevent water logging. Using a light, free-draining compost with added Perlite will also help with this. Insulate them with a layer of bubble wrap or hessian to prevent them freezing and cracking and ensure plant rootballs stay healthy. Rhubarb can be forced to product an earlier crop by protecting from light and the cold – available in Terracotta and Plastic, both products are frost proof. Protect them from the morning sun, which can damage growth if the plant defrosts too quickly. If you can't move the plants, try covering them with a layer of black plastic to block out the sun. Cutting back frosted growth in spring to a healthy, new bud, to prevent further die back and encourage plants to produce fresh, new shoots. Use lengths of string to support the branches of conifers and stop them being pulled out of shape. Branches that move away from the main plant won't spring back into place when the snow melts. Generally gardeners encourage birds into our garden to eat the slugs and snails and other pests that do damage to our crops but often birds themselves prove a nuisance devouring our ripening fruit, especially strawberries which they seem to love. Heavy duty Anti Bird netting placed over your crops is an ideal deterrent to birds, rabbits and other similar pests, but has a large enough mesh to allow invaluable pollinating insects to pass through. Cats can be a nuisance in the garden and although nothing is cat proof, the Ultrasonic Cat Scarer is a great way to repel and discourage them. Alternatively you can net your growing areas to stop them from soiling your soil. Cat Repeller Rods emit a strong scent, which are designed to stop cats fouling the surrounding area. Cats an be repelled by this Outdoor Pest-Stop Ultrasonic Repeller - Using a burst of powerful ultrasound, triggered by a passive infra red detector, the ultrasonic repeller will send all sizes of unwanted garden visitors scurrying for cover. Pigeons are present throughout the year but are particularly damaging during late spring early summer when peas and brassica crops are developing. Pigeons are also a problem on winter brassicas, especially when snow or frost makes other vegetation in short supply. Often the damage happens quickly with no visible culprit as pigeons often feed in flocks and tend to target gardens in the early morning when they are less likely to be disturbed. By far the most effective way to deal with pigeons it to prevent them from reaching the crops. Pigeon netting will do this but be sure that the crops are completely covered by staking or weighing down the edges. Bird scarers are available to buy. These work by either reflecting sunlight which causes flashing around the garden, or by making loud noises. A good DIY alternative can be made from hanging old CD’s along wires and from trees. These will flash in the sunlight and scare off the birds. Rabbits graze on a wide range of plants and can cause sufficient damage to kill young trees, shrubs and herbaceous plants as well as your prized vegetables. They do most of their feeding between dusk to dawn but can also be active during the day. Place a rabbit wire mesh fence 1.2-1.4m (4–4½ft) high around gardens or flower beds; the bottom 30cm (1ft) should be bent outwards at right angles and laid on the soil surface to deter rabbits from burrowing underneath. The maximum mesh size should be 2.5cm (1in) to prevent young rabbits squeezing through. For individual plants, netting 90cm (3ft) high can be put up, without the need to lay part of the fence on the ground. Wire netting or Tree Guards can be put around the base of young trees to prevent bark feeding. Humane traps can be set inside the entrance to rabbit tunnels, or snares can be set along rabbit pathways but these methods are not suitable for use in gardens where cats and dogs may be present. Rabbits can also be captured alive in cage traps baited with chopped up carrots. Traps and snares need checking twice a day, preferably early morning and evening, so that trapped rabbits can be dealt with. Lawns are the main problem area as mole-hills can look particularly unsightly here. 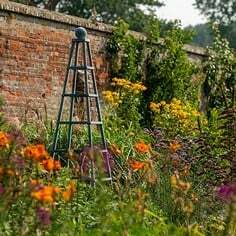 Small plants in borders can be pushed up and will have their roots damaged. Moles are quite difficult to get rid of but there are some available treatments to try to encourage them to move elsewhere! Mole repellents - Mole Smoke, emits castor oil fumes. These are said to line the tunnels and deter worms and other mole food from entering the tunnels. The hungry mole will then move elsewhere, or it may simply create new tunnels nearby. Anti-mole bulbs secrete a smell that humans can’t detect but forces moles to stay away or move on without resorting to pesticides or poison. When deer damage is a problem use Deer protection netting to form an effective barrier. As furry and cuddly as they look grey squirrels can be an interminable garden pest; they dig up bulbs, pinch fruit, steal birds eggs, gnaw the bark off trees and even munch on foliage when nut stores run low. If they become a problem use Tree Guards to protect your tree bark and if all fails trap and remove them with our Squirrel Trap makes good garden sense. Can be repelled by this Outdoor Pest-Stop Ultrasonic Repeller - Using a burst of powerful ultrasound, triggered by a passive infra red detector, the ultrasonic repeller will send all sizes of unwanted garden visitors scurrying for cover. Rats can be trapped in a Humane Rat Cage which enables them to be humanely trapped. They have a grouping instinct and it is not uncommon for 2 or more rats to be caught at the same time. A similar product is available to control mice try this Single Humane Mouse Trap or Humane Multi-Mouse Trap.